The spoon and the eggshells finally have their place. 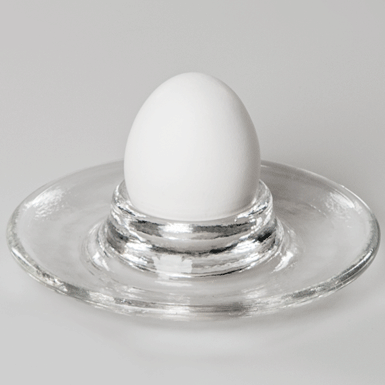 Its difficult to eat a egg with more class! Glass poured by hand and pressed into the mold.